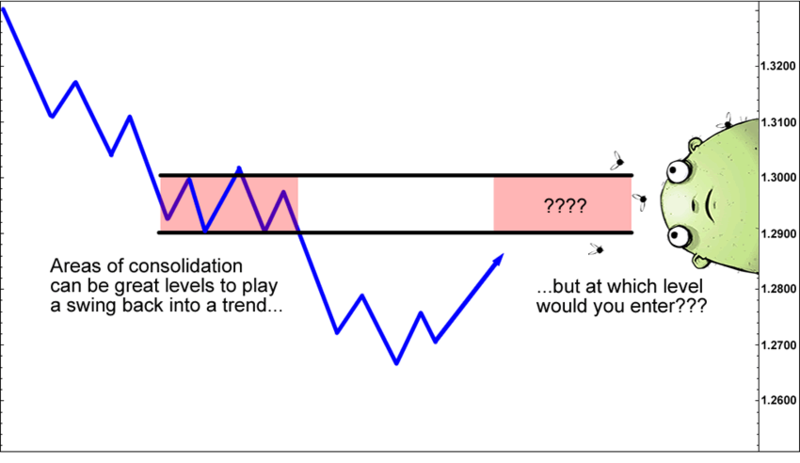 The first scenario we’ll cover involves adding to your positions when your trade is going against you. Adding more units to a” losing” position is tricky business and in our view, it pretty much should never, ever be done by a new trader. 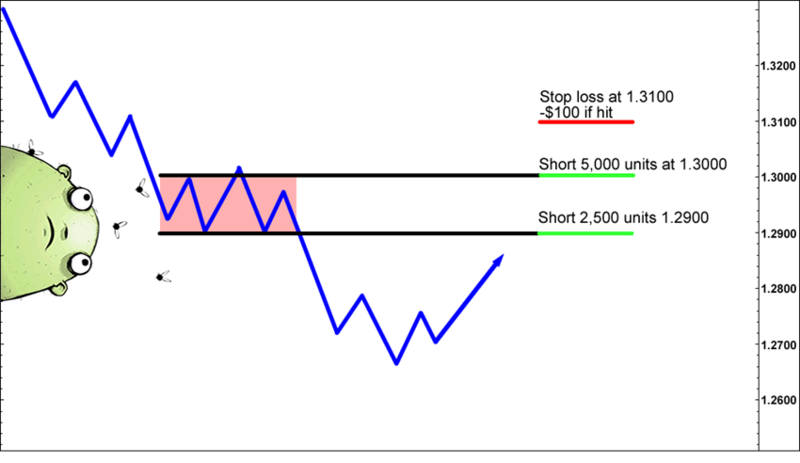 Now we say “pretty much” because if you can add to a losing position, and if the combination of risk of your original position and the risk of your new position stays within your risk comfort level, then it is ok to do so. From the chart above, we can see that the pair moved lower from 1.3200, and then the market saw a bit of consolidation between 1.2900 to 1.3000 before breaking lower. After bottoming out around 1.2700 to 1.2800, the pair retraced to the area of recent consolidation. Again, according to our pip value calculator, 5,000 units of EUR/USD means your value per pip movement is $0.50. We have created a trade where we can enter at 1.2900, and even if the market went higher and created a losing position, we can enter another position and stay safely within normal risk parameters. And just in case you were wondering, the combination of the two trades creates a short position of 7,500 units of EUR/USD, with an average price of 1.2966, and a stop loss spread of 134 pips.